Some of the world's best furniture is made in Senatobia, Mississippi. 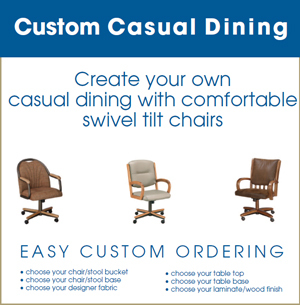 As an industry leader Chromcraft boasts their swivel-tilt collection of chairs as the most comfortable seating available for kitchen and dining sets. That’s why at Dinette Depot, we feature Chromcraft. 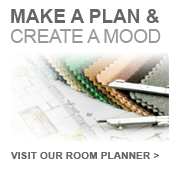 We welcome you to shop their products online or come visit our showroom's "Comfort Zone" and see a vast selection of choices available in different finishes and fabrics. Chromcraft is proud to provide the finest materials in their manufacturing process. They form their own tubing out of cold roll steel, often using techniques they developed themselves. They even manufacture their own Ultrafoam®, pre-shaped seating to assure a precise, comfortable fit. Other components are engineered and manufactured to their own specifications to give long lasting comfort, ease of use and strength. Chromcraft’s innovative, award winning designs have made them a leading manufacturer.